Romanesco Broccoli is actually a variation of a cauliflower, but usually listed with broccoli. The descendent of wild Mediterranean kale was first documented in the 16th century in Italy. Multiple, 4-5”, light green heads form with florets and stems clustered in ornate twists. The heads have a soft texture and a distinct nutty-cauliflower flavor. This descendent of wild Mediterranean kale from Italy, is actually a variation of a cauliflower, but usually listed with broccoli. Multiple, 4-5″, light-green heads form with the florets and stems clustered in ornate twists. They have a soft texture and a distinct nutty-cauliflower flavor. 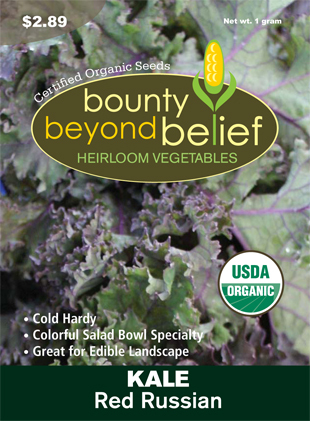 This cool season crop grows best in the spring or fall when the temperatures are around 60° F and can tolerate frost. Avoid mid-summer plantings. It is especially good for edible ornamental landscaping. Planting and Care: Sow seeds indoors 6-8 weeks before the last frost date. Keep soil warm (75F) until germination then hold at 60° F. Provide direct sun to avoid leggy seedlings. Transplant at 4-6 weeks or 4-5 true leaves, into well-drained soil high in organic matter. Or, direct seed as soon as you can work the soil. Sow seeds again in early summer for a fall crop. Provide plentiful, consistent moisture and protect from pests. Mulch to protect roots and retain moisture. Harvest: Snap off individual heads as needed. Eat raw or briefly cooked. Your Health Contains high levels of carotenoids and iron, vitamin C and folate. This member of the Cauliflower family is compatible with basil, beans, dill, garlic, hyssop, lettuce, mint, onion, rosemary, sage, and thyme. It does not like grapes and rue.